Today is the official start of the Bordeaux 2007 primeurs campaign, which will run for about a week. Owing to unforeseen circumstances I am not there, so this year I will not be tasting the baby wines. Too bad. But the good news is that later this week I will be in the Loire Valley instead. Tasting young but mature wines. I shall report about that trip next week. Last week a good deal of my Bordeaux 2005's were delivered. Exciting - the wines that I bought en primeur two years ago. - OK. And see, these bottles here, are also three, just like you. - And when you've grown up, you and me will drink these wines together! So he got the point, and he observed me storing his bottles, for at least the next 15 years. It is this 'tradeability' of the wine, and even more of its bigger brother Château Margaux 2005 - ten times more expensive -, that explains the interesting bottle bottom: the bottle's kick is decorated with something that looks like the château building. And there is the magical vintage 2005 printed in relief. Child's play, this kind of anti-counterfeit measures, my son will think in many years. By that time a Château Margaux will have a built-in chip and a passport alike back label. Simply necessary with young bottles costing a fortune. 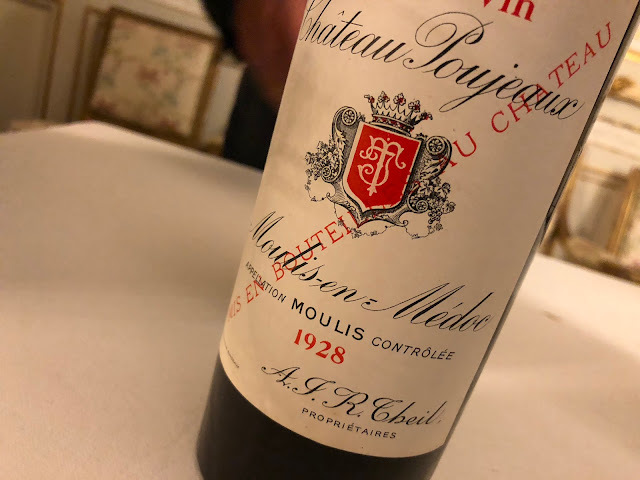 With a release price of € 5.000,- per bottle the 2021 vintage appeared to be most extravagant year ever (with a quality level that resembles 1961, 2005 and 2012). Wines that aren't drunk any more, but have become financial assets, like the gold ingots that are safely tucked away in the safes of banks. Maybe it is healthy to miss out on the prices pushing primeurs lunacy...? I received a magnum of Pavillon Rouge 2000 as a gift recently. The bottle bottom has no date or image as described in the post. It does appear to have some kind of glass molded codification and what looks like a laser inscribed number around the outside bottom of the bottle. What do you make of that? I guess in 2000 they didn't have this special bottom yet.